This work, which is one of the brightest by the greatest 18th-century Roman landscape painter, shows in a certain way the purged and rather stereotyped Arcadian vision of the countryside of Lazio as represented, though not exclusively, by Locatelli. 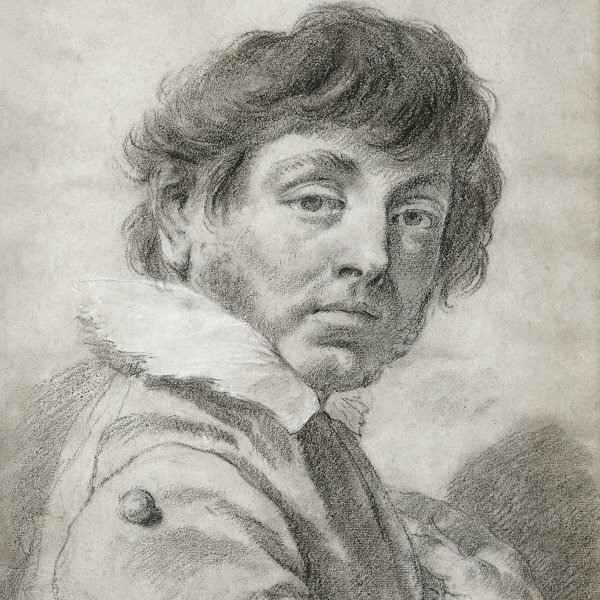 Inevitably influenced by the great models of the 17th century such as (but not in this case) Salvator Rosa, in paintings in which the feeling of an unkind, if not explicitly hostile nature, and of dramatic weather prevails, Locatelli clearly draws inspiration from the elegiac and optimistic attitudes of the classicists Dughet and Lorrain. It is well known that Locatelli alternated between representations of ruins, sea views (exceptionally), genre scenes in the style of Bamboccio and proper landscapes, showing a repetitive temperament, perhaps, but also varied, thus continuing, particularly in the latter genre, the tradition of excellence of the painter from Antwerp Van Bloemen (nicknamed "Horizon"), but also anticipating, rather than following, Pannini. 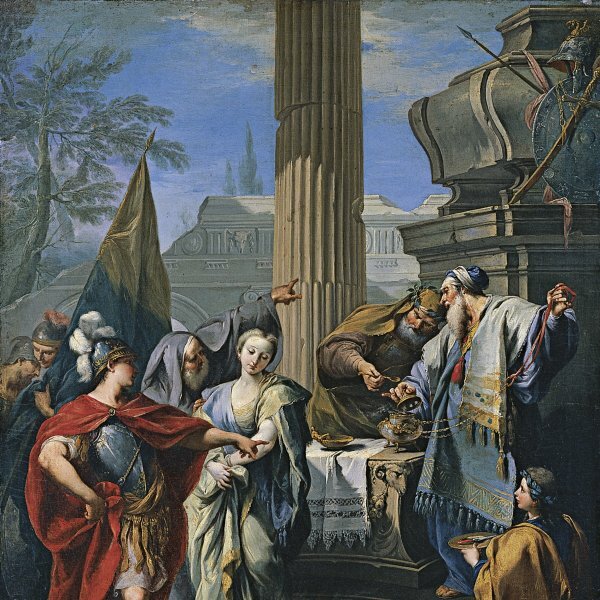 Andrea Locatelli, who has recently been reappraised by art criticism, takes up a very respectable role in the development of European landscape painting in the second quarter of the 18th century, within the narrow parabola of a career lasting twenty years, announcing an impressive production of works, very few of which were directly dated. In a specific group of his works, the selective and aulic paradigm of a reference to nature, raised to a level of emphatic solemnity by the 17th-century Emilian and French classicists, recovers an original and personal style, obtained by giving a protagonist role in his own compositions not so much to the vast horizon, the Olympic calm of his visions, or even the human actions "filmed" in small scale and often verging on the pretext. No, Locatelli's real stars are the massive, invading, leafy tree tops, the green umbrellas whose trunks, often bent, chase away from the scene any other interlocutor. A disrespectful procedure, not immune from mannerisms, which forces the observer, as in the case examined here, to guess, by the small portions depicted, the landscape's morphology, the succession of plains and orographic phenomena. 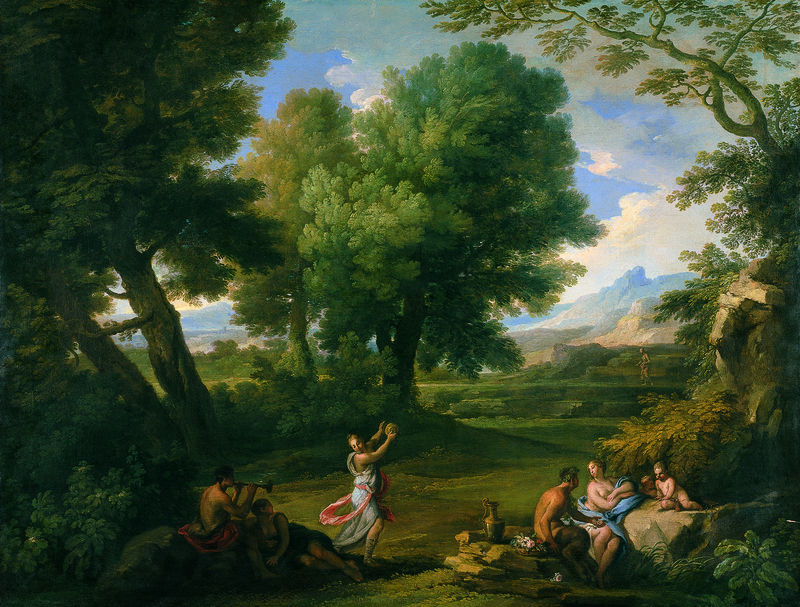 As if the sense of the picturesque -widely present in Locatelli's repertoire (see his genre paintings)- disappears in favour of an original, extremely personal, almost stereotypical Arcadia. And the subsidiary function of the figures, which play, here, a proportionally small part (although this is not usually the case; see for example Landscape with Rebecca and Eliezer, at the Musée d'Art et d'Histoire in Geneva, or Venus and Vulcan), occasionally reaches such a level of excellence that we are inclined to deduce the presence of specialised collaborators. And what collaborators, if art critics have identified, among others, the hand of Subleyras, of Batoni and of Giaquinto! Undoubtedly, in this area, there is still much to be said. And we cannot discard the possibility that Locatelli may have legitimately belonged to the exquisitely figurative trend. If it can be asserted, for example, that Locatelli himself is responsible for the extremely good and original execution (post-Fetti, post-Jordaens, so to say) of the shapely feminine protagonists in Landscape with Washerwomen by a Fountain, from Count Savini Collection in Viterbo, one of the few paintings dated by the artist (1725), then we should accept that the majority of the other accessory figures in many of his paintings are not by him, or else consider that the Roman painter mastered many styles.